Pelican Rowing Club Final Eights 1921. Small silver tankard with one handle made by Still of London. 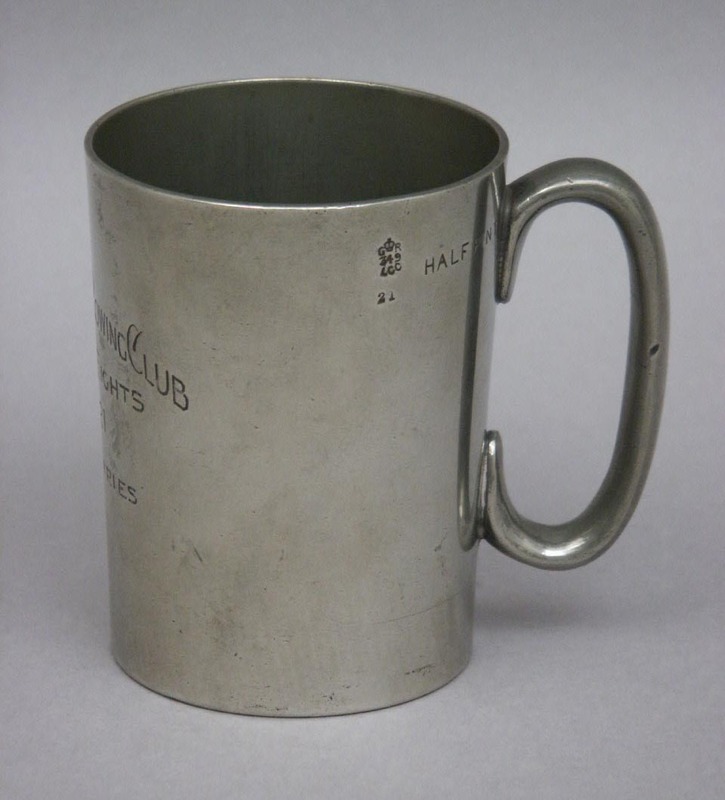 Silver tankard with engraving opposite the handle and a hallmark and half pint to the left of the handle. The makers name is printed on the bottom.